Happy Birthday America! Here at Rapid 14 Base Camp in Zambia, we Americans are celebrating with a 4th of July BBQ called a “Brie” in Africa. The young adults downloaded dance music on their computers. So rather than fireworks, we will have a swinging Dance Party. – The past 2 weeks have been intensive medical training with SOLO Wilderness Medicine from Conway, NH. We are now certified in CPR and as Wilderness First Responders (EMT’s of the Bush). We spent 2 days in a village teaching these same skills of wound care, broken bones, dislocations, and assessments to the local women and men. We had translators to help, but the Zambians picked up the skills immediately and asked great questions based on past village illnesses. We met Hupa, a woman who had polio as a child. It destroyed the use of her right leg and turned her foot under. Because she compensated for so many years with the stronger left side of her body, she complained of intense pain from her left hand/shoulder to her left leg. The local hospital wanted to make a boot to increase her leg length or have her use crutches. But then she couldn’t work in the fields. She wanted prayer and healing. So I held her feet at the inner ankle bones as she lay on a mat. Visibly one leg was longer than the other. Two of our team’s young women prayed for her. One is a nurse and felt Hupa’s hips move into alignment. I began to feel the legs moving. I closed my eyes and prayed as the Holy Spirit led me for her left arm and shoulder. The young man at her head put his hand on her shoulder and felt it pop back into place. When I opened my eyes, Hupa’s ankle bones were now even as God miraculously grew her leg and straightened and strengthened her body under our very eyes and hands. We not only experienced teaching healing techniques but were privileged to be used by God for His healing by faith in Jesus Christ. You can hear and see Hupa’s testimony by going to Twitter.com/JPhilipWilson and follow the link to “Meet Hoopa” and it will take you to his posted YouTube video. Hupa praising the Lord for healing. -This week we start Cross Cultural Communications (how to present the Bible in an understandable way to another people’s culture), and 4X4 Driving school so we will learn how to drive a stick shift on the left side of rutted dirt roads with the steering wheel on the right like in Europe. Yikes! That sounds scary…and don’t run over any goats. Next is Cooking in the Bush. 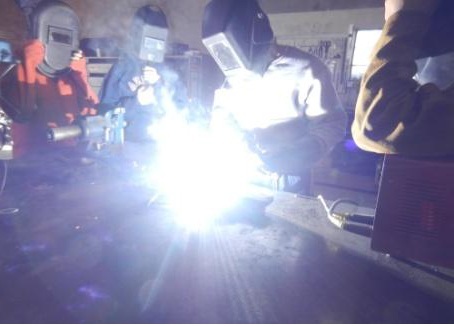 -We learned how to use power tools on both metal and wood and to weld in Workshop 101 class. 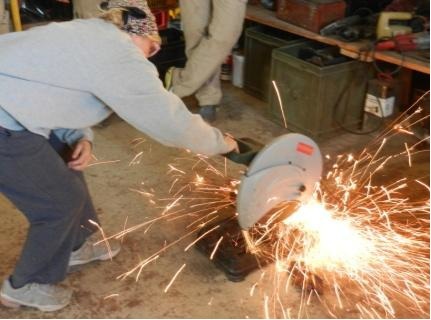 Jack was better at the welding, but Bev loved cutting things up! We also passed our Vehicle Mechanics class from the frame to all the mechanical systems in a diesel engine since most cars/trucks are diesel fueled. GPS Navigation taught us how to follow a set of directions, mark the points of interest in a village, and navigate our trail back to base. It’s a lot better than bread crumbs! 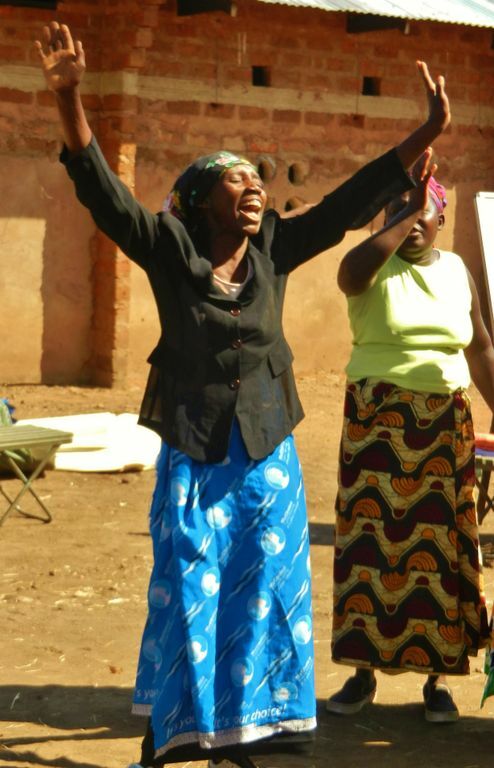 -We got high scores in our Preaching 101 class and Bev got to preach at a “Women and Men on Fire” meeting at the closest village to our base. The metal rafters rocked with the praise and worship. We also completed a course on Agricultural Sustainable Development to help the Africans learn to help themselves and not be dependent on charitable giving. 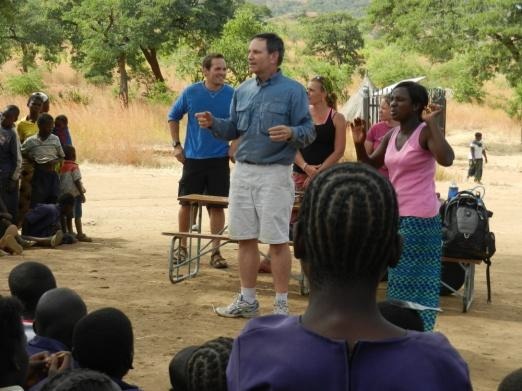 A group from South Africa lectured on prevention of child abuse in African villages, but it applies worldwide. We also have had wonderful guest missionaries and preachers teaching us Theology, Ethics, and Leadership. Teaching during a school session. A typical weekday for us starts at 7am with either exercise or group Bible study, Breakfast at 8am, worship at 8:30am, class from 9 to 12 noon, Lunch break until 1pm, class continues from 1-5pm, work crew or dinner prep until Dinner at 6:30pm, clean dishes for the 50-70 served until 8pm,and class again until 9:30 PM. Somewhere in there we catch a shower in the outdoor bathrooms (wood-burning water heater), and get homework/reading assignments completed. 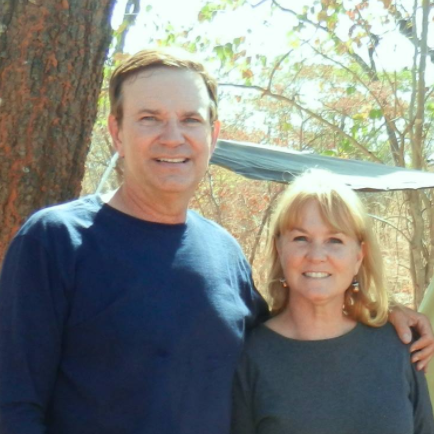 So, you can see our time here in Zambia is being well used and we are receiving effective training as we also grow deeper in love with these people and the Lord Jesus Christ. Posted on July 3, 2012 by fullersmission. This entry was posted in Afica, Newsletters and tagged adventure, africa, christ, god, Healing, learning, School, Trip. Bookmark the permalink.